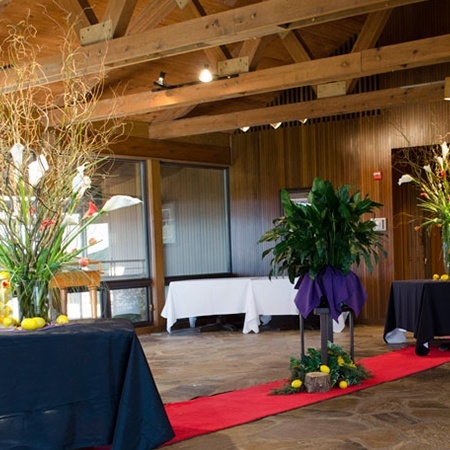 Our selection of indoor and outdoor venues will provide you the flexibility to host your event any time of the year. 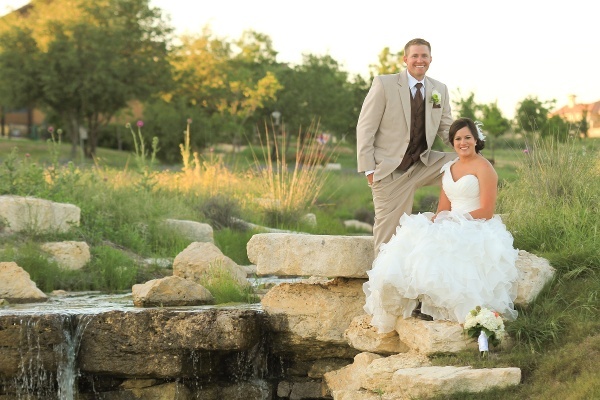 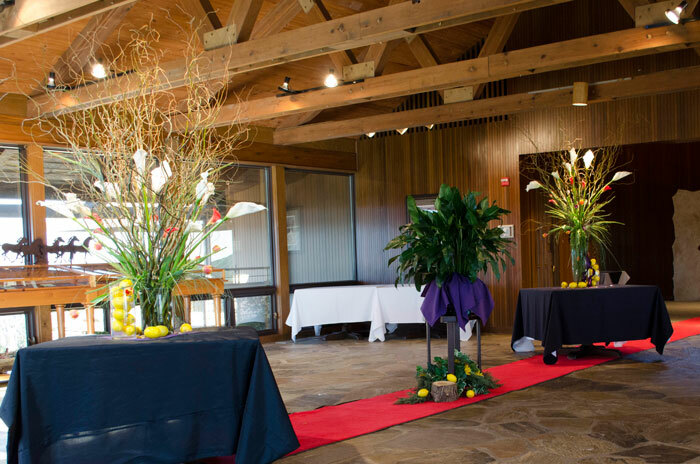 You also have the option to combine any of our venues to accommodate the specific needs of your event and give your guests the majestic 360 degree panoramic Hill Country views that Comanche Trace is known for. 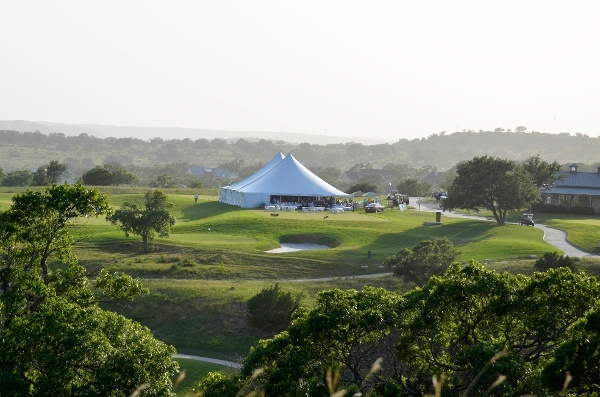 250 Guest Capacity An elegant open floor plan with 180 degrees of ground to ceiling windows that offer an unparalleled view of the surrounding Hill Country. 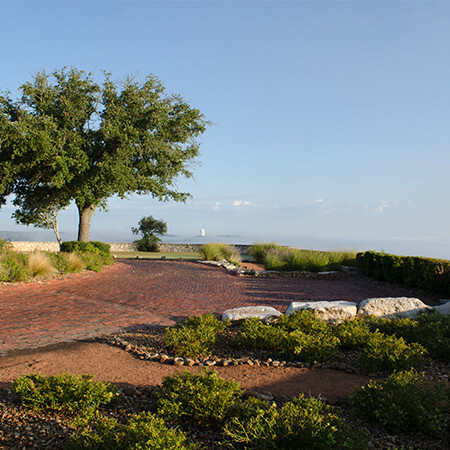 Your guest can also take in the views outdoors from the wrap-around deck. 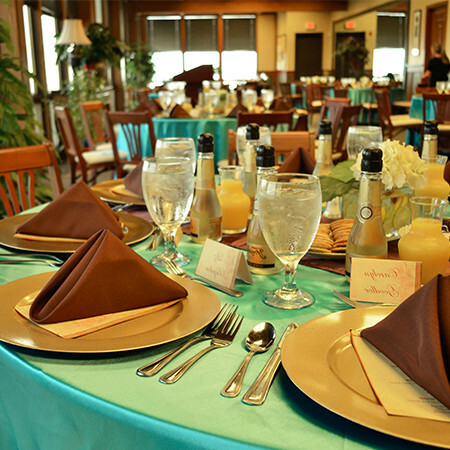 100 Guest Capacity Equipped with a full service bar, this room is the perfect space to host a cocktail party or social gathering. 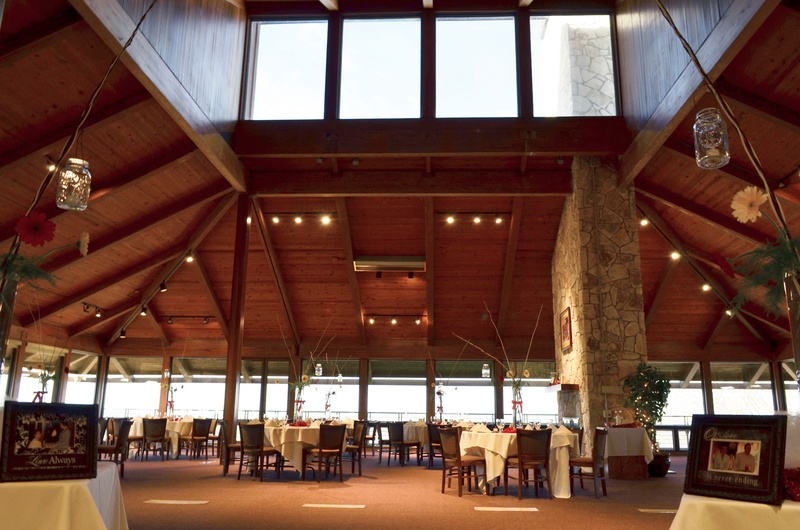 It offers two walls of floor to ceiling windows as well as dark stone floors and tall ceilings. 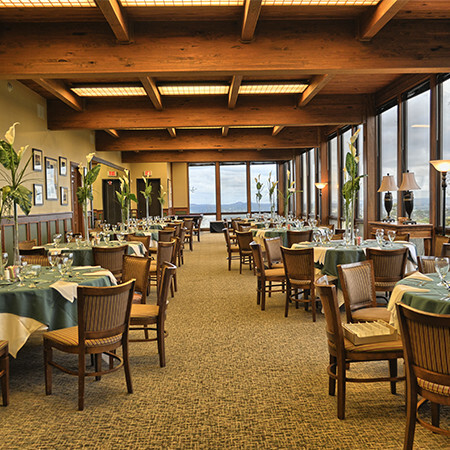 150 Guest Capacity This room has floor to ceiling windows on two sides, and also comes with a bar, sink area, and private restrooms. 150 Guest Capacity This is a great event space for your casual birthdays and anniversary events. 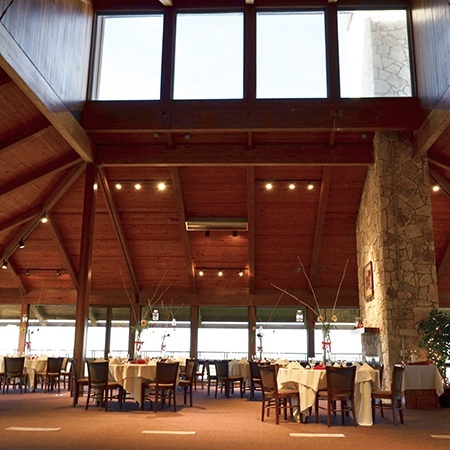 It also offers a great view of the Hill Country with an entire wall of floor to ceiling windows and comes with a full bar and private restrooms. 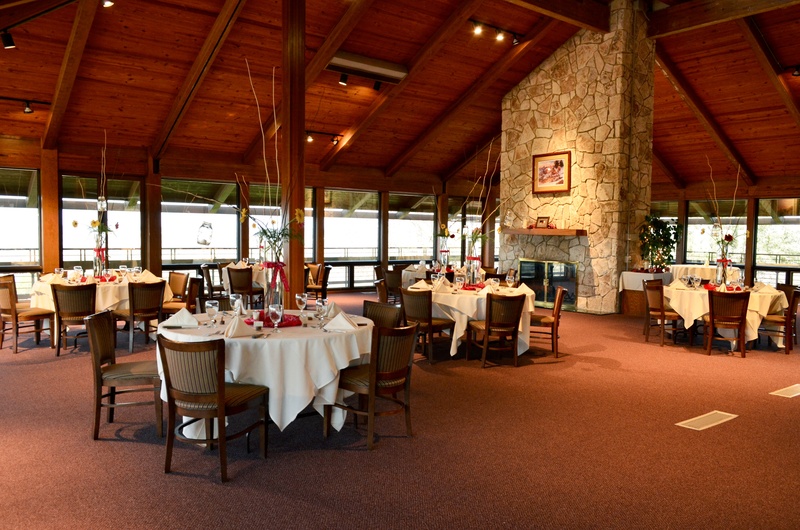 30 Guest Capacity This room offers a very intimate setting for a nice dinner or evening with friends, family, or even a small business meeting. 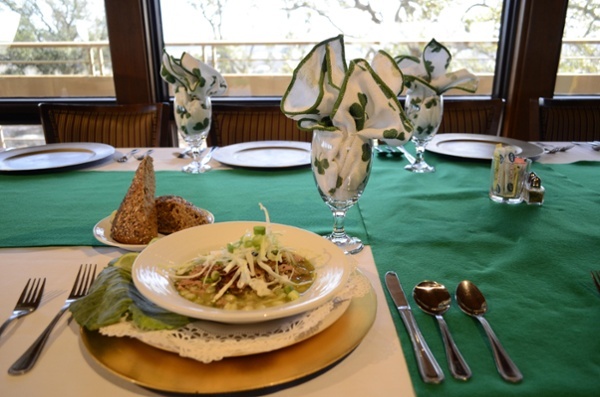 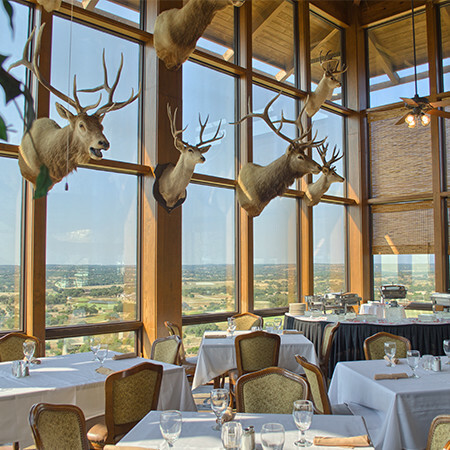 You and your guest can take in the breathtaking Hill Country views from the setting of your own table. 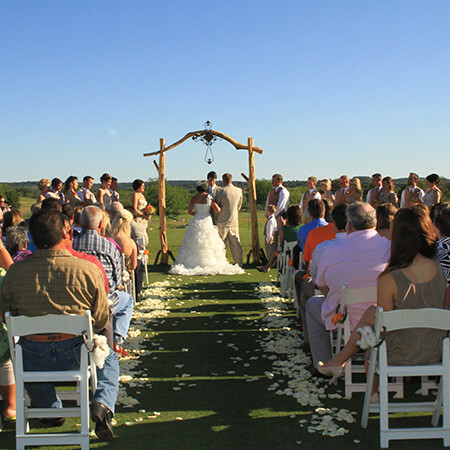 100 Guest Capacity A beautiful spot located at one of the highest points in the Hill Country overlooking the surrounding area. The views are impeccable and a great setting for an intimate outdoor event. 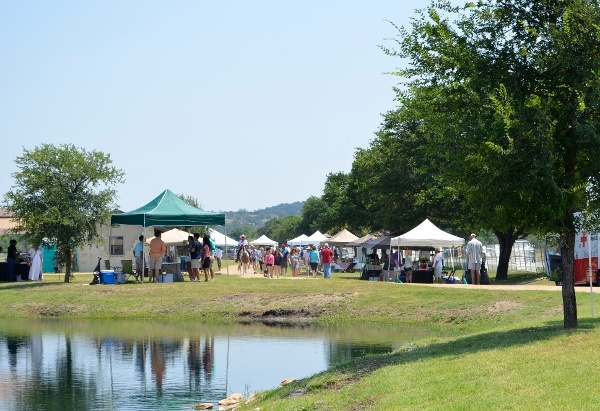 500 Guest Capacity Located on the Guadalupe River with access to Kerrville Lake, this spot is the perfect outdoor setting for any large event. 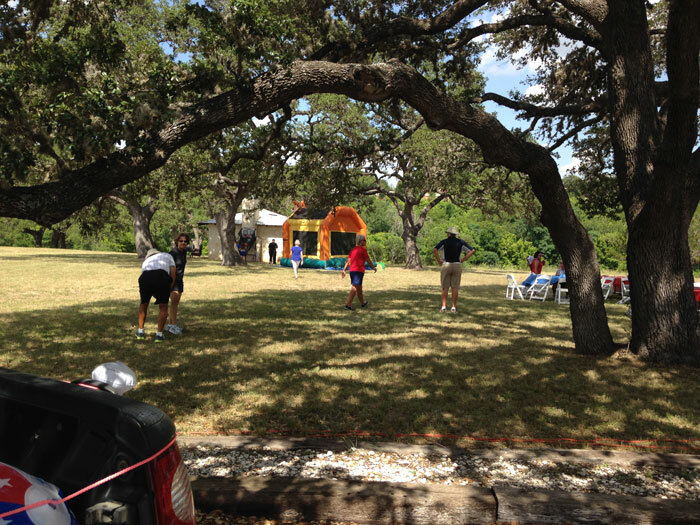 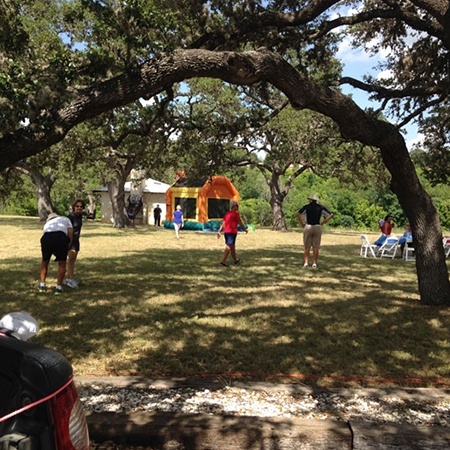 With Live Oak trees offering shade and a quaint little pavilion, you and your guest will enjoy the beautiful outdoors. 500 Guest Capacity This outdoor space is located in the valley of the heart of Comanche Trace. The views are remarkable with hills surrounding you every way you turn. 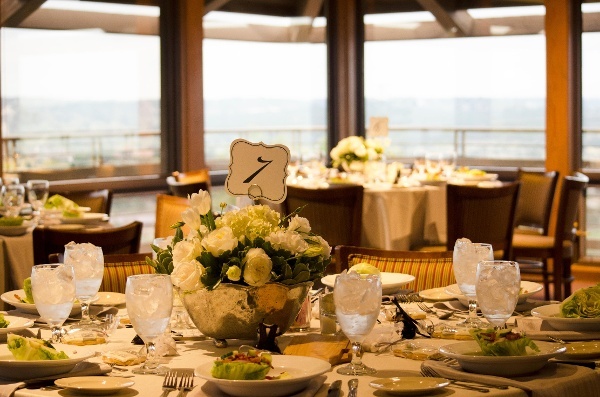 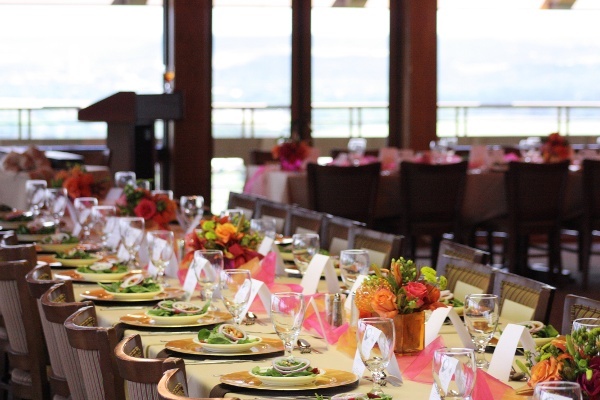 No matter your event, you will not be disappointed with the remarkable views that create the perfect setting for your event. 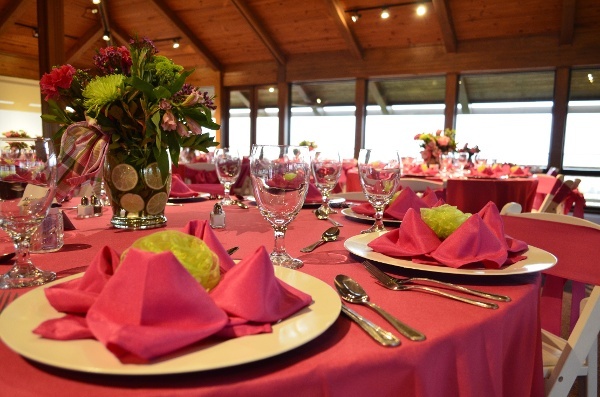 150 Guest Capacity The pool offers a great location for your summer party! 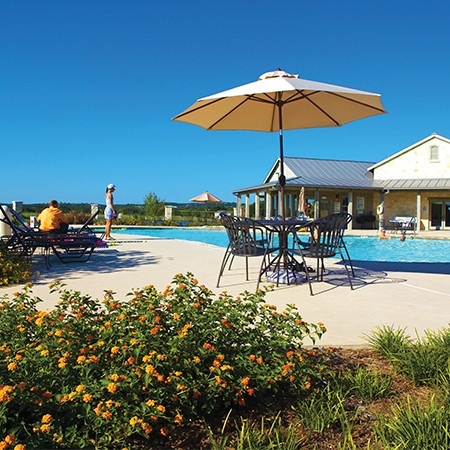 Whether you are looking to have an end of school-year party, or a themed summer party, the pool is the perfect location with everything you need to cool off. 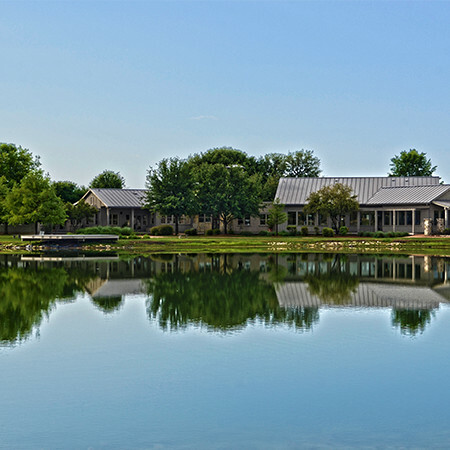 200 Guest Capacity Comanche Trace Lake offers a magnificent backdrop for your special event with easy access to restrooms and the expansive porch of the Comanche Trace Sales Center.